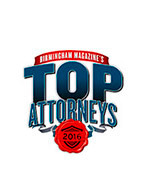 Consultation Fees | Birmingham | Shabani & Associates, P.C. A consultation face-to-face in our office or in a place agreed to, in advance, by the attorney and the client. You fax us your facts and ask us your questions and we answer and fax you the answers to your questions. A consultation over the telephone where you call us at the time of pre-scheduled consultation time. You set up an appointment and request that we meet with you online at the scheduled time. You email us your facts and questions and we will respond to your questions via email. You set up an appointment and request that we meet with you online via video conferencing channel, like Skype, at the scheduled time. The cost of the consultation is $200 paid in advance of the consultation, at the time you set up the appointment. All consultation appointments are prepaid and pre-scheduled. Consultation time is 30 minutes only. If a consultation requires more than 30 minutes, you are encouraged to make prior payment arrangement and or you will be billed at the end of the consultation. Our Hourly rate is $350.00. Additional time, over the 30 minutes, will be billed based on our hourly basis. We accept credit cards, debit, check, and cash. All questions regarding our consultation fee are encouraged and welcomed. We invite you to explore his experiences and to observe the depth of education and training he has attained. Education: University of Alabama (1991); Birmingham School of Law (1995). 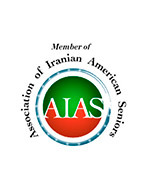 Mr. Shabani is the only attorney in the State of Alabama who has been appointed by Mexican Consulate in Atlanta, Georgia to represent indigent Mexican Nationals at reduced attorney fee.